Today, 22 May, 2017 [8 Jestha, 2074], Nepal Medical Council [NMC] has published an urgent notice. 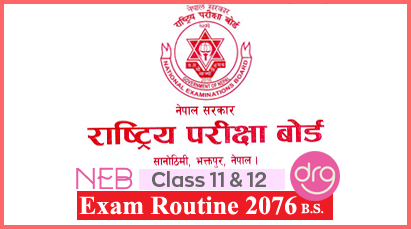 The urgent notice is about examination schedule of NMC Licensing Examination and Special Examination for the year 2074 and also announces application from eligible candidates. 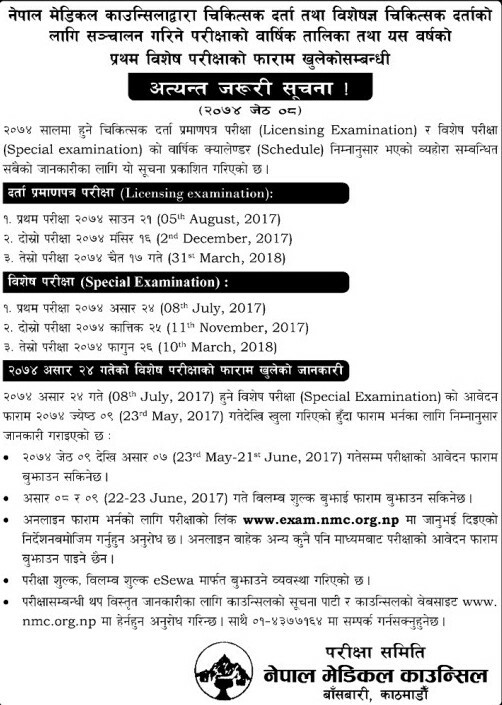 Application now open for Special Examination of 24 Ashad, 2074. Application form submission deadline: 9 Jestha, 2074 to 7 Ashad, 2074. With late fee: 8 Aashad, 2074 and 9 Aashad, 2074. 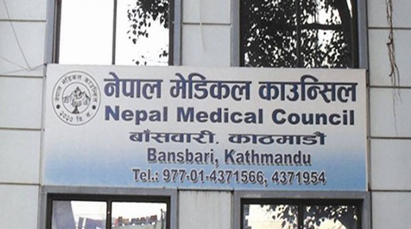 0 Response to "Licensing Examination | Special Examination Dates 2074 | Nepal Medical Council [NMC]"